The 2009 Bordeaux Futures campaign is in full bloom at the moment, it has been a booming success with wines being purchased by consumers at all price points. It is our most successful campaign ever. While there are bargains at the Petit Chateaux and Cru Bourgeois levels, it is a different story for the highest scoring (95+ points) wines which are the most expensive ever, even with the strong Canadian dollar versus the up and down Euro. Wines are actually 10-25% higher than the great 2005’s. With careful chosing, some Grand Cru Classe wines were released at reasonable prices and we bought these and sold them just as quickly. With many years of buying Bordeaux futures, I can offer this advice: the great vintages such as 2000, 2005 and 2009 will never lose their value and if anything will appreciate dramatically, especially for the rare and collectible wines. If the prices seem high for the top end now, they will be even higher when the next ‘vintage of the century’ shows up. Thus, if you want the best, then bite the bullet and buy it now and in ten years time, you will be glad you have them in your cellar as you reminisce the good old days and ponder in bewildment that you no longer can afford the same wines you purchased for the 09’s. My, how the First Growths, the so-called Super-Seconds and even some of the Third Growths have truly become a commodity reserved only for the rich and famous. For those of you who are price conscious and after quality for price, there are numerous wines in the $50-90 range that will reward your patience and selectivity, they will be great wines in 10-15 years and your only regret will be that you didn’t buy them by the case. Just ask yourself how many times after consuming a great bottle that you wish you would have bought more. 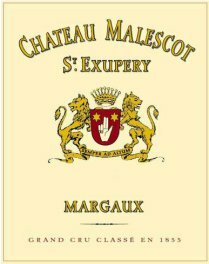 Check out our 2009 Bordeaux offer here. The 2nd Annual Al Fresco Block party last saturday was a huge success, with record numbers of attendees for all events. We thank participants, attendees, organizers and volunteers alike, all helping to raise money for E4C’s Kid’s Lunch Program. Final tallies will be forthcoming after the Al Fresco Auction ends this coming Saturday, June 19 at 7pm. There are over 50 items in our on-line auction that you can still bid on. You can come into deVine’s to view all the items and bid in house as well. 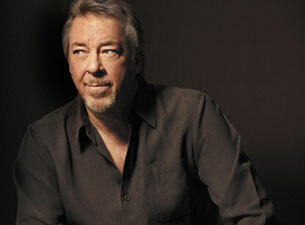 How about tickets to the Boz Scaggs concert next tuesday, a police ride along, a weekend at the Fairmont Jasper Park Lodge, tickets to the ESO, Citadel or the Cirque du Soleil, the 2007 Wine Spectator’s Wine of the Year, A Dinosaur Dig & Tour, dinner at some of Edmonton’s best restaurants, jewelry, collectible wines, relaxation packages and some wonderful art pieces you have to see to believe. A reminder if you’re not around on saturday, you can still submit an absentee bid beforehand via email – we will bid on your behalf in $10 increments up to your maximum.